During the summer between my first and second year at Booth, I was a marketing intern for the Tropicana team at PepsiCo’s Chicago offices. For my intern project, I was tasked with evaluating the brand’s opportunity within the multicultural consumer segments and developing and recommending a go-to-market strategy. Many of the marketing principles and fundamentals that I had learned throughout my first year of classes applied directly to my project and played a big role in how I approached the work. 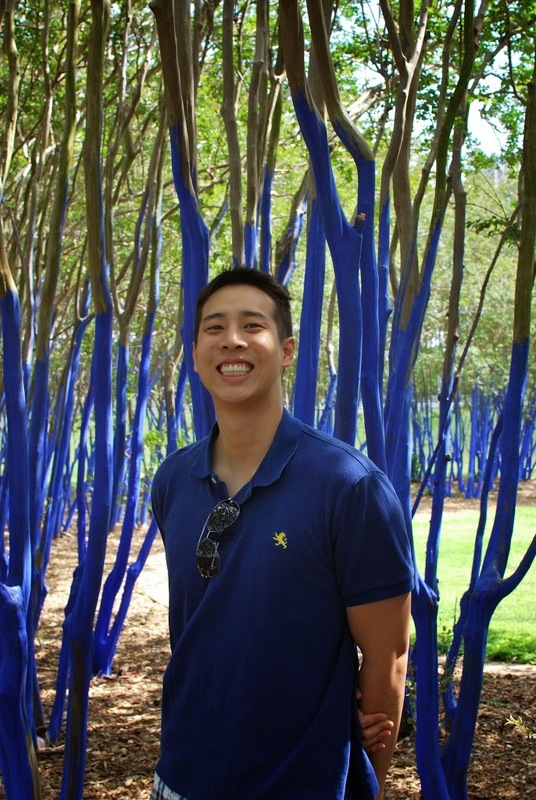 Jeffrey Chao is a first year student at Chicago Booth. Prior to Booth, Jeffrey worked as a financial analyst on an energy trading floor and as a consultant focused on financial transformation and procurement analytics. Jeffrey has always had a passion for sports, and, once upon a time, he interned for Major League Baseball and the National Football League. At Booth, Jeffrey is a member of the Corporate Management & Strategy Group, Dean Student’s Admissions Committee, and Wine Club. Jeffrey is also active in the Media, Entertainment, and Sports Group (MESG) and attended its annual conference. He recaps some of the highlights and talks about how some unique features of Chicago Booth academics and the alumni network are helping him position himself for his dream job at the nexus of business and sports. For students like me interested in the business of sports, MESG’s 4th Annual Sports Symposium felt like Christmas Day. The Symposium featured industry panelists discussing a range of topics, including front office management, sports analytics, digital marketing, and litigation in sports. Panel discussions gave attendees unique insight into the rigorous analytics and business methodologies now performed in many facets of sports business, as well as personal anecdotes about how to land that dream job in the industry. My experience at the conference showed me the breadth and strength of Booth’s varied alumni network, and how I might combine the analytical skills I’m developing in my Booth classes with my passion for sports. Michael Girsch, a 2003 Booth alum and currently the assistant general manager for the St. Louis Cardinals, set the tone for the day by stating, “there is no equivalent in the corporate world to winning games.” That statement highlighted the motivation behind why people work in sports, and certainly got me pumped to hear more about how sports and business intersect. Throughout the day, many panelists offered sound words of advice to attendees looking to break into the industry. Enthusiasm, passion, and tenacity are key traits, while the ability to communicate and sell an idea is paramount. I felt encouraged to learn that Booth provides ample opportunities and connections to break into sports business. 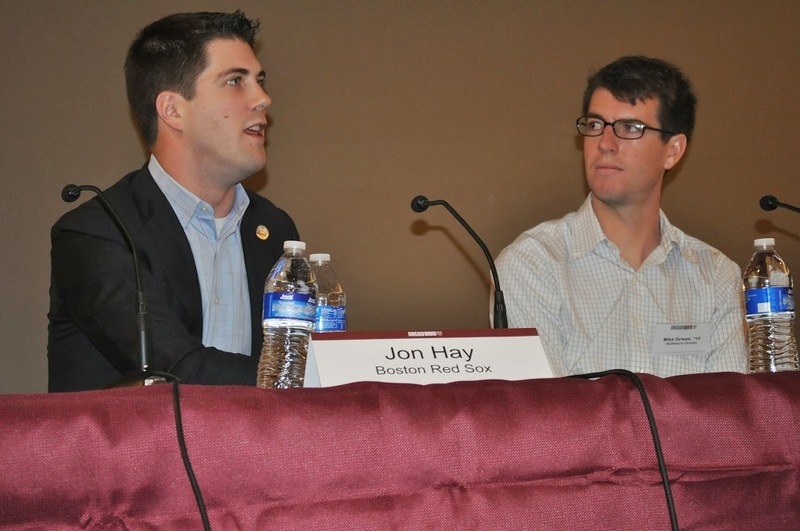 Two recent Class of 2013 Booth graduates, Jon Hay and Michael Gries, gave back to current Booth students by participating in a panel discussion on the increasingly prominent role of analytics in sports. Gries, who works in baseball operations with the Baltimore Orioles, said his current position is “like a fantasy job.” Both Gries and Hay, a member of the Boston Red Sox’s baseball analytics staff, stuck around long after their panel finished in order to chat with Booth students and symposium attendees about their recruiting strategies and job experiences. During the lunch hour, second-year Booth MBA students Ryan Jones, Mauricio Zachrisson, and Matt Frankenfeld delivered academic presentations on various sports analytics topics. They developed their papers in a class called Sports Analytics, which I am personally excited to take. This class, taught by renowned professors (and fellow sports lovers) John Huizinga, Tobias Moskowitz, and Kevin Murphy, was one of the reasons that I was so excited about the academics at Booth when I was researching business schools. 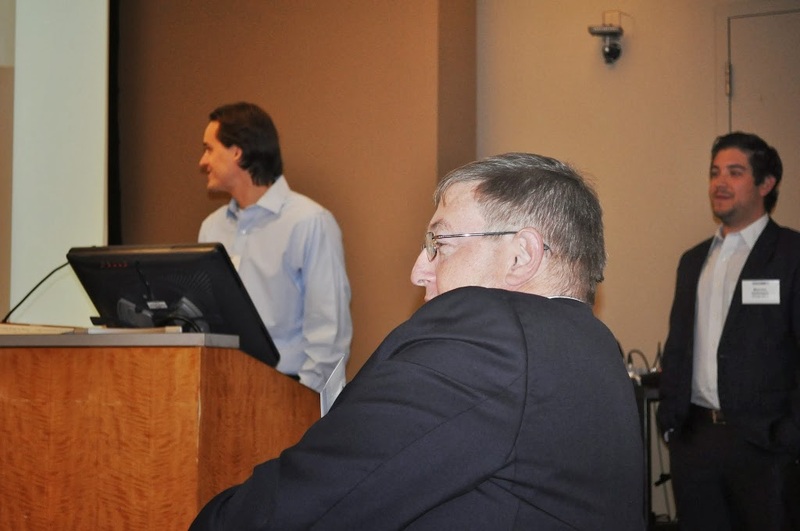 It turns out that business school professors tend to be sports fanatics as well. 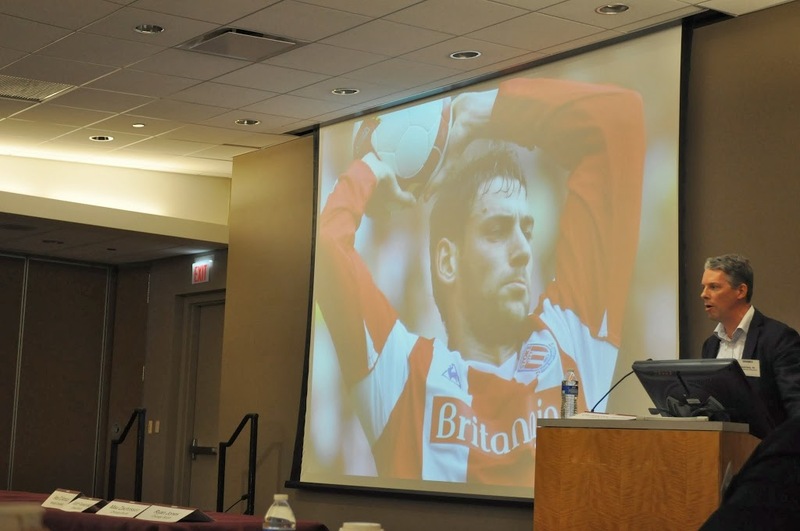 It was also exciting to hear from a Booth alum who could soon be known as the “Michael Lewis of soccer/football.” A recipient of a PhD in economics from Chicago Booth, David Sally delivered the symposium’s keynote speech. He discussed findings from his new book, The Numbers Game: Why Everything You Know About Soccer Is Wrong, which has drawn comparisons to Lewis’ Moneyball. In one example, Sally described soccer as a “weakest link sport,” correlating the likelihood of wins to the quality of a team’s worst player rather than its best. During breaks and at a reception following the Symposium, I had a chance to network and make personal connections with panelists such as John Ball, the founder of a sports consulting firm called Beyond Box Scores. In chatting with another panelist about his career trajectory, I discovered that not only did we have the Booth connection in common, but we went to the same high school. While the sports business can be a difficult industry to break into, the combination of events like the MESG Symposium, Booth’s rigorous analytical curriculum, the connections with companies and sports organizations facilitated by Career Services, and the incredibly varied and supportive Booth alumni network give me the confidence to pursue my passion. I am personally excited to take all these tools and put them to good use as I pursue a summer internship.